The development of metal oxide-based molecular wires is important for fundamental research and potential practical applications. However, examples of these materials are rare. 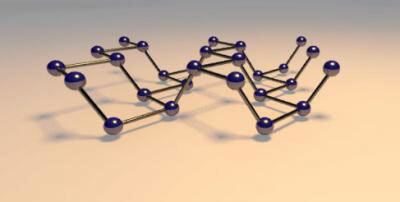 Researchers now successfully created ultrathin all-inorganic molecular nanowires, composed of a repeating hexagonal molecular unit made of Mo and Te; the diameters of these wires were only 1.2 nm. New research has shown how a smart sensor chip, able to pick up on subtle differences in glycoprotein molecules, can improve the accuracy and efficiency of prostate cancer diagnosis. 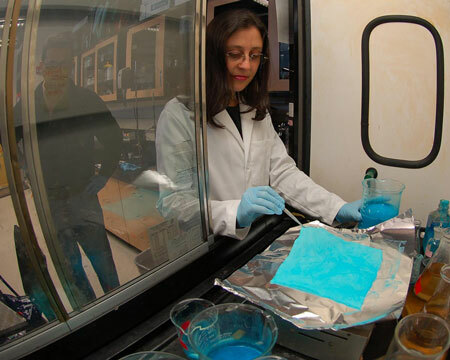 In a nanoscale world researchers can control cellulose-based materials one atom at a time. In a new study, electrical engineers have designed a cloaking device that is both thin and does not alter the brightness of light around a hidden object. The technology behind this cloak will have more applications than invisibility, such as concentrating solar energy and increasing signal speed in optical communications. Scientists develop breakthrough technique to easily optimize electrical properties of Polyaniline nanosheets to an unprecedented level in an environmental-friendly and inexpensive way. A new approach to develop highly-potent drugs which could overcome current shortcomings of low drug efficacy and multi-drug resistance in the treatment of cancer as well as viral and bacterial infections. Physicists have used graphene to build lightweight ultrasonic loudspeakers and microphones, enabling people to mimic bats' or dolphins' ability to use sound to communicate and gauge the distance and speed of objects around them. The goal is to develop solutions to challenging problems in the areas of energy, the environment, security and defense, as well as for developing ways to monitor and mitigate human stress. Using a single molecule as a sensor, scientists have successfully imaged electric potential fields with unrivalled precision. 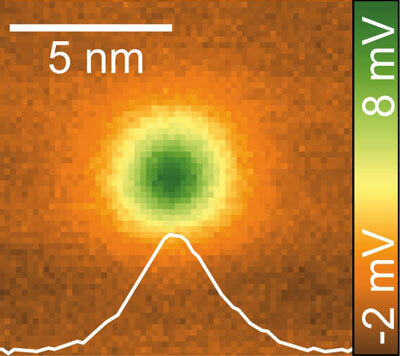 The ultrahigh-resolution images provide information on the distribution of charges in the electron shells of single molecules and even atoms. 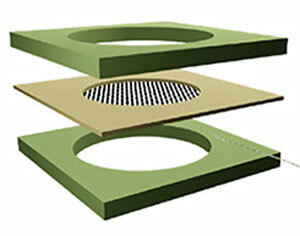 New material could make it possible to pack more transistors on a chip, research suggests. 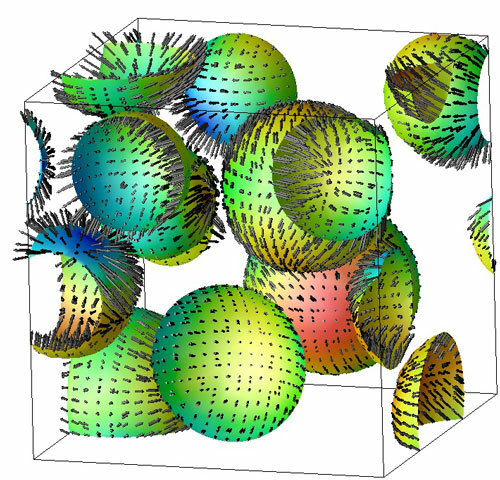 A novel mechanism of droplet phase separation. 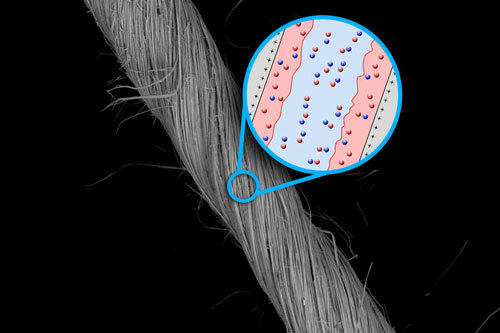 Yarns of niobium nanowire can make supercapacitors to provide a surge of energy when it's needed. 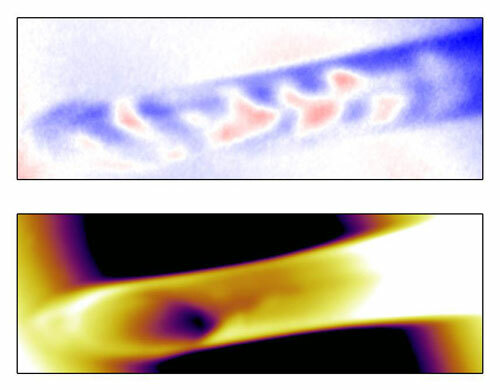 An international collaboration has succeeded in using synchrotron light to detect and record the complex 3D magnetisation in wound magnetic layers. This technique could be important in the development of devices that are highly sensitive to magnetic fields, such as in medical diagnostics for example. 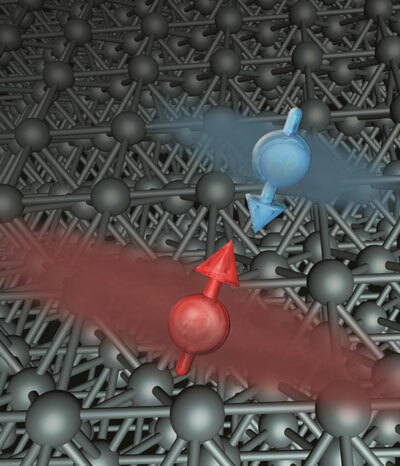 Scientists decode relationship between magnetic interactions and the distortions in crystal structure within a geometrically 'frustrated' spinel system. The research was conducted by 150,000 volunteers at IBM's World Community Grid.